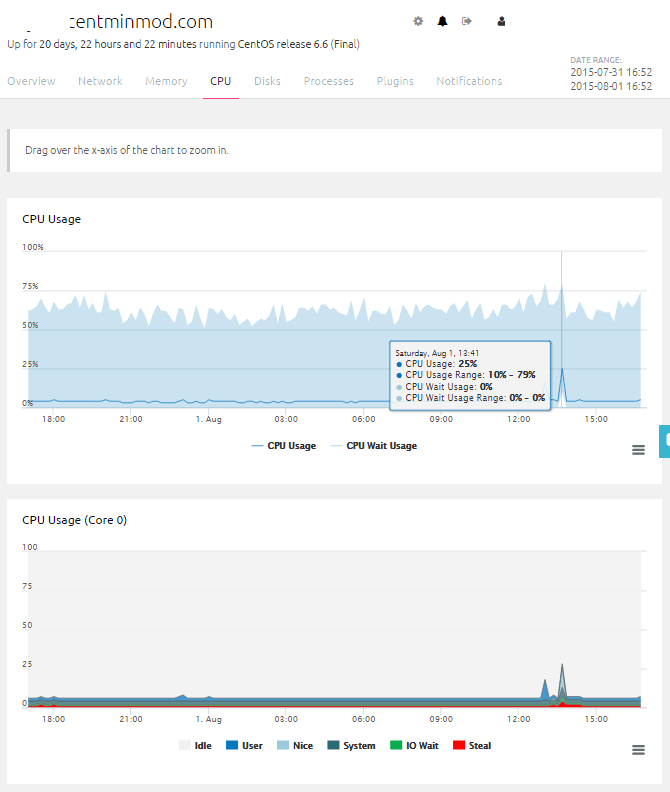 Below is a illustrative look at some third part server monitoring and uptime/downtime notification services including Nodequery.com and Nixstats.com. Both these services are free during their beta testing period. 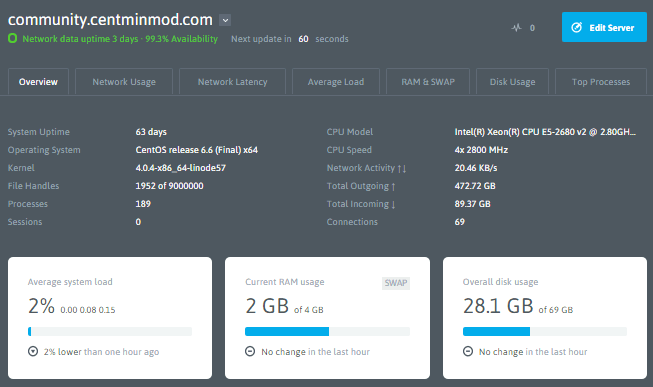 Centmin Mod LEMP web stack as a basic server stats Linfo Addon which can provide you basic server statistics. 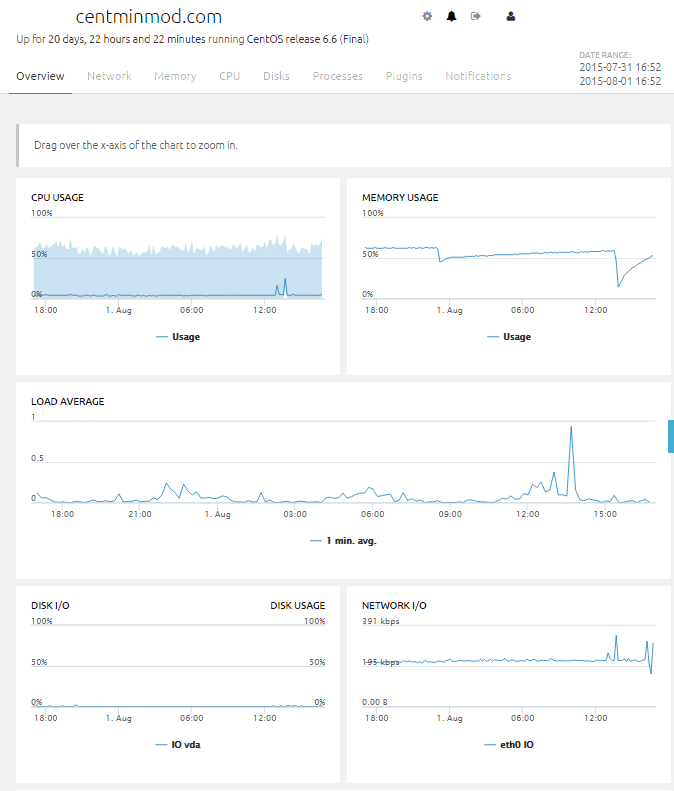 However, for more detailed info with uptime and downtime monitoring and notification you might want to check out Nodequery.com and Nixstats.com. 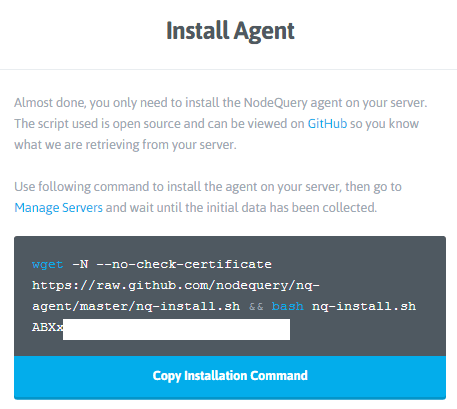 Both involve signing up and installing a monitoring agent via SSH command line on your server. Just a tip, I tend to drag the cpu load and memory notification threshold settings to 99% especially if you're using a low cpu core count VPS i.e. 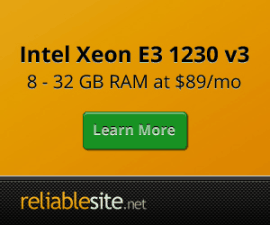 1 or 2 cpu cores. Otherwise, you will be getting alot of email notifications due to having a small number of cpu cores. 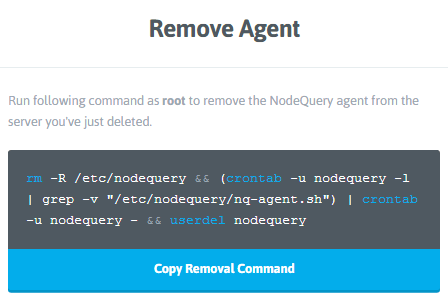 Once signed up with Nodequery.com, you create a new server which will prompt you to fill in your server's domain name or hostname. You will then be given a curl bash one line command to run as root user in SSH session on your server. 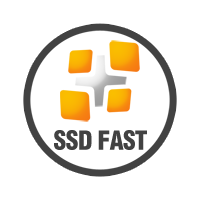 This installs the monitoring agent which does all the statistics gathering and information data transfer to the service. 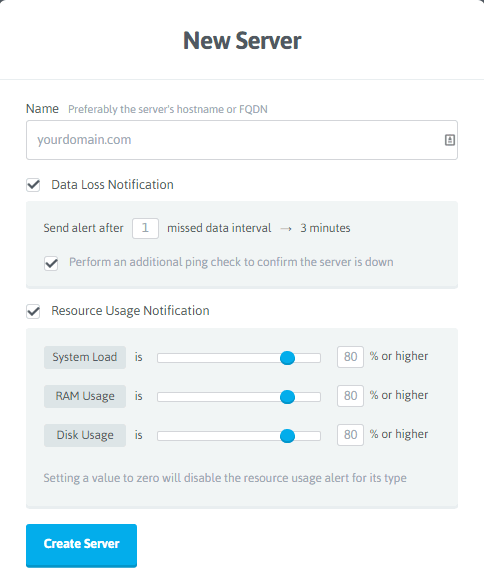 Once signed up with Nixstats.com, you create a new server which will prompt you to fill in your server's domain name or hostname. You will then be given a curl bash one line command to run as root user in SSH session on your server. 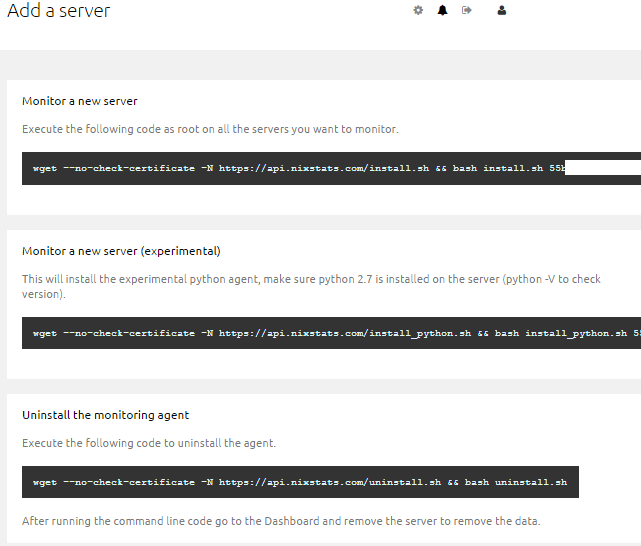 This installs the monitoring agent which does all the statistics gathering and information data transfer to the service. Nixstats.com does one feature better and that is allow you to create public status pages which can be on your own domain via CNAME DNS entry i.e. 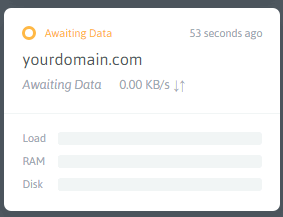 status.yourdomain.com. Nixstats Public Status Pages. 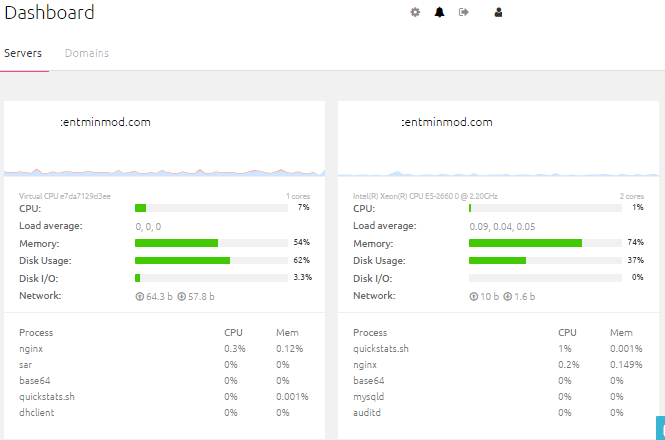 Example for this site can be see at status.centminmod.com. 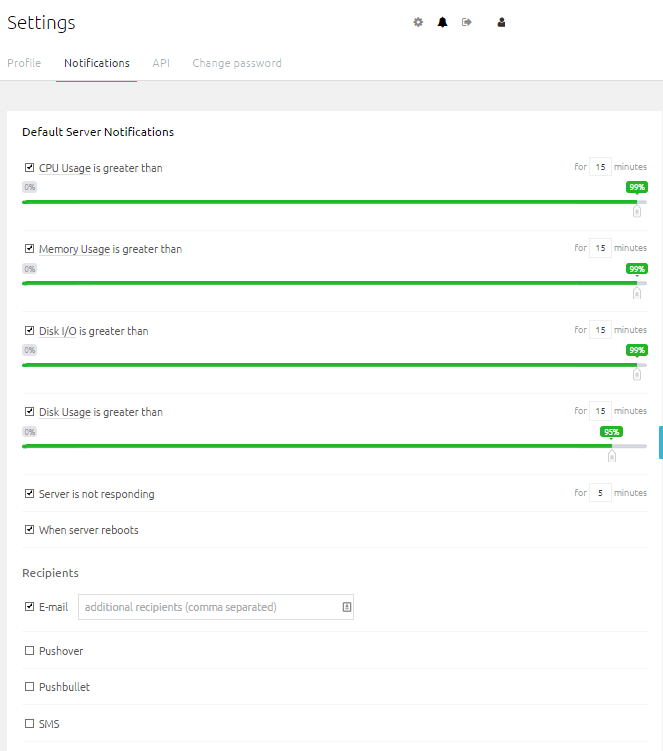 Nixstats Settings area has the notification settings parameters including setting up Pushover, Pushbullet, SMS and additional email notification recipients. I always set my at 99% for cpu and memory thresholds.